You guys. THIS. 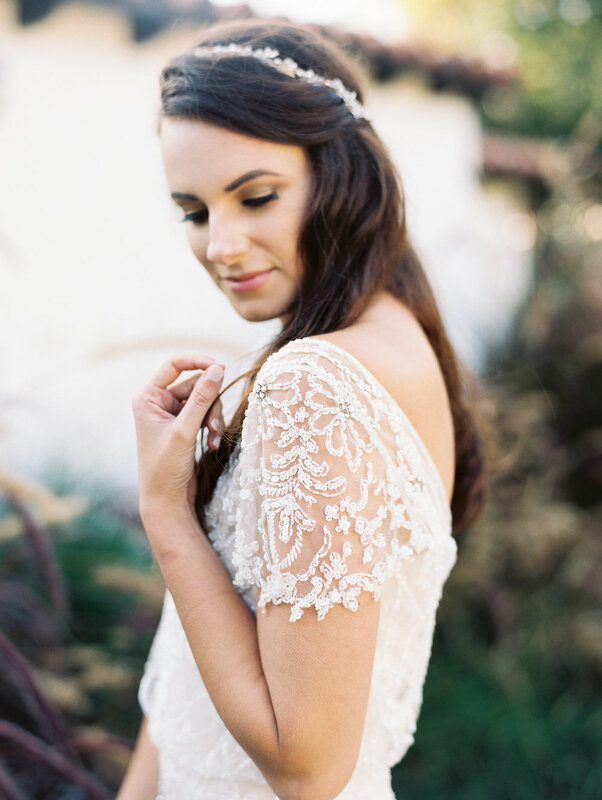 This shoot that was a part of our Bloom Bash Workshop last fall in San Clemente, California has me all kinds of excited. While I love soft, pastel or neutral palettes I was SO inspired by this colorful and vibrant vignette we created. The copper paired with the salmon, navy and gold was just too good and Style Me Pretty even shared it here! 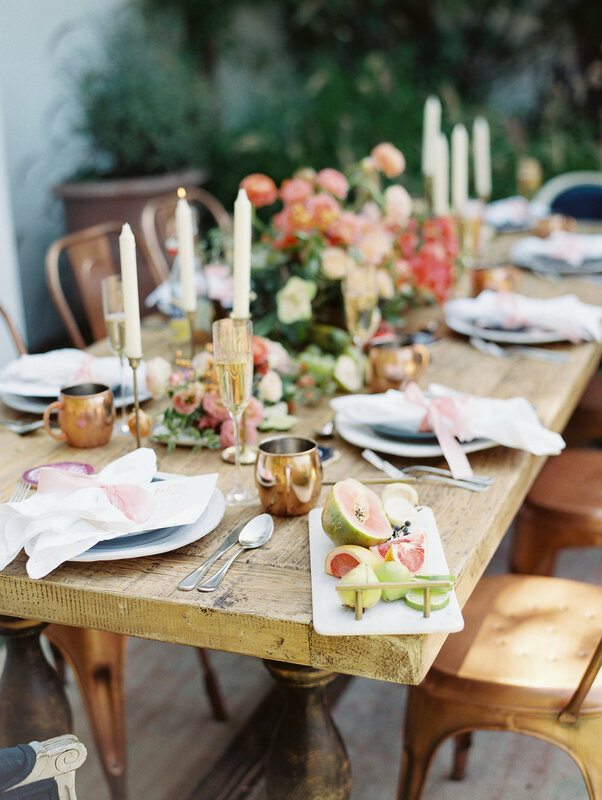 We started with rentals from Found Vintage Rentals and when we saw these metal copper chairs we had to have them. 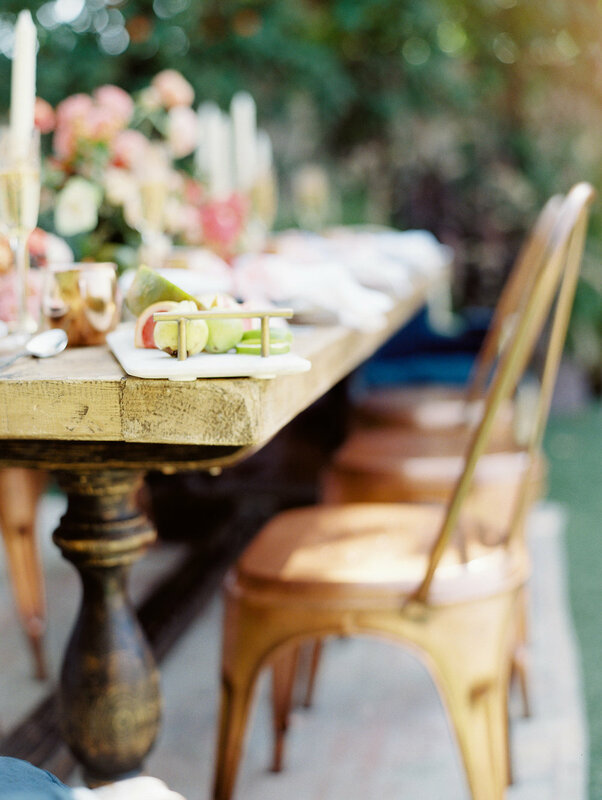 Amy Osaba brought a touch of straight up magic with her gorgeous florals and styling of the fruit spread on the table. Anthropologie champagne glasses gave a perfect touch of gold. 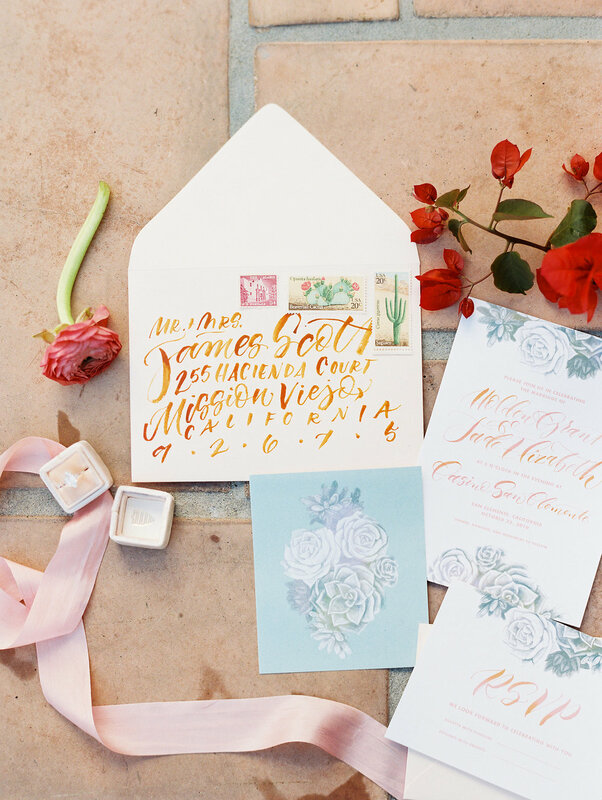 Molly Jacques calligraphed a beautiful set of invitation suites and menus and stamps from Verde Studios accented those perfectly. 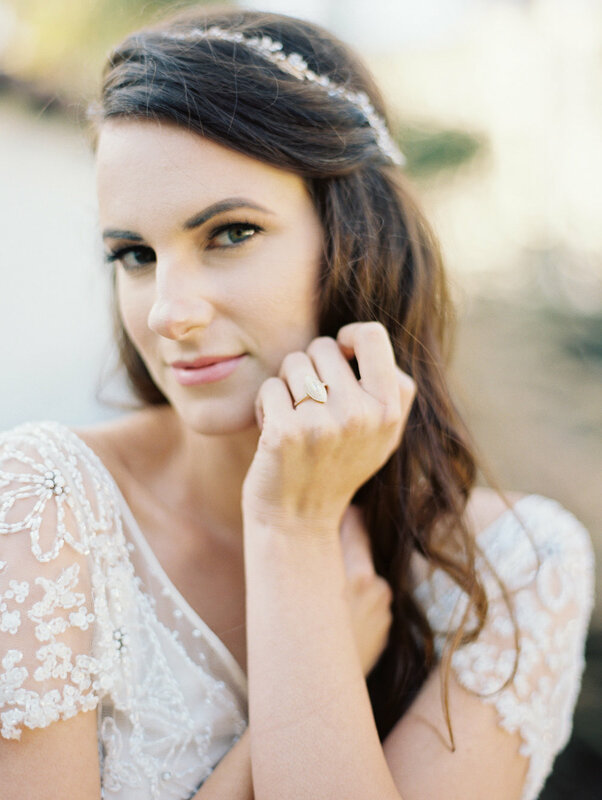 Our gorgeous models wore BHLDN gowns, Susie Saltzman rings and were dolled up by Melissa of Blush by M Marie. Cakes by M Cakes Sweets made the sweet dessert bar even sweeter, and the Casino San Clemente was the backdrop for our workshop and the shoot. 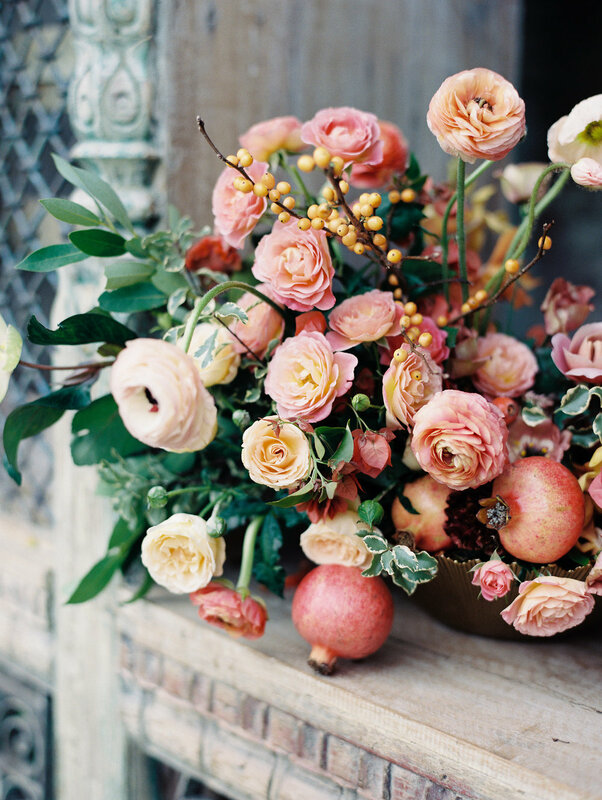 It always amazes me at how beautiful everything comes together during styled shoot portions of the workshop. The artistry each talented creative brings to bring our vision to life is beyond words. When we fill the last champagne glass, or hand our bride model a bouquet and step back and look at the scene we are always in awe and so thankful for the wonderful team that make these shoots possible! Check out all the images from this beautiful day below, full list of vendors at the bottom!